Nothing lights up a performance like mirrored costuming! Pictures cant convey the effect of fairy lights flashing and moving with the dance across ceiling, stage and audience. Especially effective in cafes and in dim light. 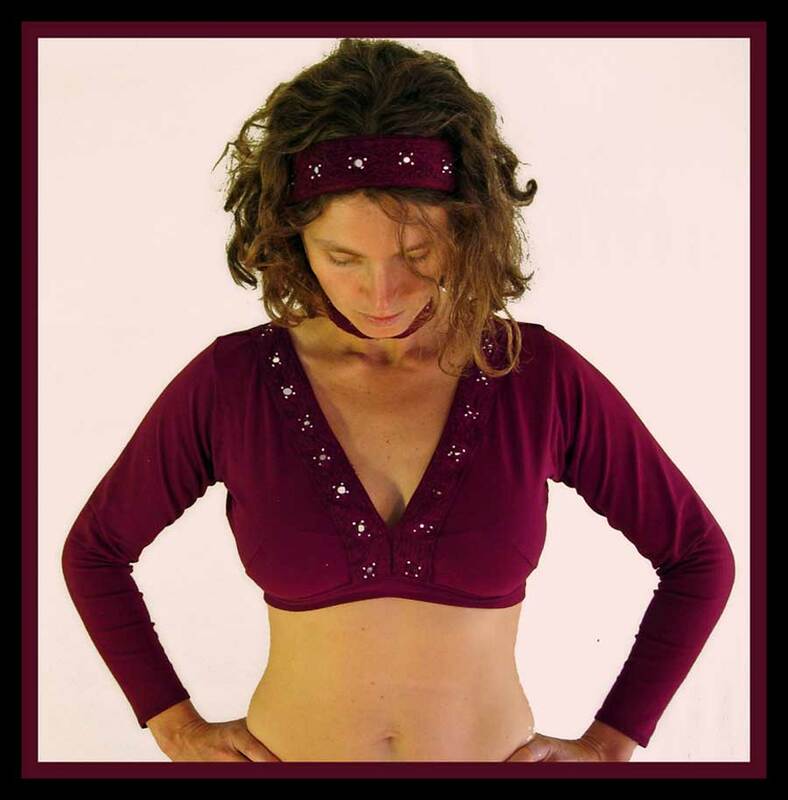 The Choli material is comfortable stretch cotton lycra and finished with a cotton non stretch hand embroidered mirror piece at the center front, giving extra support for the more bountiful dancer! The back is open with ties at the shoulder and mid back for a custom fit. Colors hand dyed after I receive your order. Click here for colors; wine, magenta, purple, blue, teal, turquoise, green, olive, apple, rust, chocolate, antique beige,brick, golden yellow, tangerine, red, deep crimson, fuchsia, pink, ivory ( white), black. 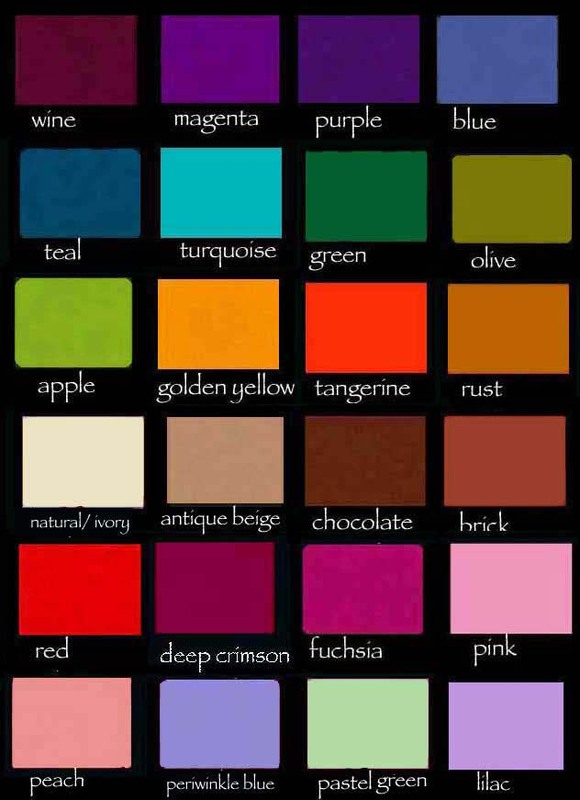 for more info on hand dyed colors click here.